Chinese Student Caught Cheating British Columbia Casino tells Judge that his Humiliation is enough of a Punishment--and the Judge Agrees! 25-year-old Thomson Rivers university student Mingzhe Xu was arrested in front of his classmates in a classroom a few days after surveillance cameras caught him capping bets three times at the Lake City casino in Kelowna, British Columbia. He did it twice on a roulette table and once on a three-card poker table and he had a cohort, who just happened to be a dealer at the casino. The pair earned more than $1,500 for their cheating exploits that occurred on two different days in October 2016. Xu's lawyer told the judge that his client's crime was unsophisticated while Xu, in a letter to the judge, said he was under a lot of stress at the time because he had been the victim of a phone scam, been in a car accident and learned that his mother had cancer. He added how humiliating it was to be taken out of his university class in handcuffs. Apparently Judge Meg Shaw agreed, or at least felt sorry for the casino-cheating student. She ordered him to repay the casino the $1500 he cheated it out of and dismissed all other charges. As for the cheating dealer involved with Xu, he lost his work card and still faces an additional cheating charge. My take: Apparently the judge does not empathize as much with cheating dealers than cheating players with mitigating circumstances. As for what the dealer actually did besides look the other way, I have no information. In any case, I agree that the young student be given a break. Smart Chip Trays...Are They Smart Enough to Give Game Protection Help? Will this help casinos protect their games and reduce losses from cheating and advantage play? The latest high-tech gadget is on the way. It's called the Smart Chip Tray and is the brainchild of Darrell Ratliff, an inventor, entrepreneur and blackjack enthusiast. He came up with his casino invention after being annoyed at a blackjack table that was running hot for the players and was suddenly interrupted by a dealer change followed by a chip-rack count and refill that took several minutes and sucked the energy right out of the air surrounding that table. What the Smart Chip Tray does is use advanced laser technology to electronically count each tube in the tray in real time, meaning at any given moment a casino employee in any casino location with access could touch a key and get the real-time count of all the chips in a chip tray instantaneously. 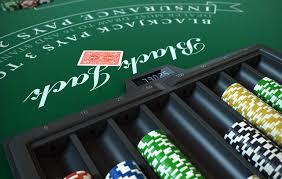 Moreover, multiple tables can be linked together and counted as well as can multiple casinos. The immediate benefit of this technology is that it can completely revolutionize the entire fill process casinos used to bring chips and take off chips from gaming tables. Casinos would be able to completely do away with the manual count, so there would be no reason to interrupt the action to deal with chips-fills. The whole process would be automated. The software would notify the cage automatically with the information of how many chips in which denominations are needed at any given table or tables. Okay, this sounds great to me...and Mr. Ratliff says, among other benefits the smart tray will bestow on casinos, that it will greatly reduce losses to casino cheats and advantage players. I think it has some promise. When RFID chips debuted, its makers promised they would greatly deter any kind of chip-manipulation cheating simply because every bet on the table would be registered by its RFID chips on the table and transmitted to monitors attached right to the games. Yes, that's true but did it render pastposting and bet-capping obsolete on RFID tables? It reduced it but not as much as you might think. At the 2013 Usenix security symposium in Washington D.C. I explained why. Just like all that state of the art video surveillance equipment, RFID needed good human performance levels to make it as effective as possible. At Usenix I showed methods by which advanced casino cheats are able to bypass RFID, not all the time but surely enough to not have to systematically avoid RFID tables. So that said, how will Smart Chip Trays reduce cheating? Against what kind of table-games cheating will they be effective? Well, the first thing that these SCTs (it's about time I converted to the acronym!) might signal to warn of possible cheating is a sudden large loss of chips in a tray, which could mean a scam is underway or the table is just getting beat on a negative swing. But if the casino is on its toes and reacts quickly to the SCT alert, then surveillance can immediately start zeroing in on the game and possibly uncover some cheating going on. One thing I must point out here is that just like with the surveillance cameras, floor personnel should not depend on this new technology to tell them a chip tray is suddenly low. Supervisors being observant on their feet will further protect the casino. Sometimes the technology, even when it functions perfectly, does not serve because the people on the floor or up in surveillance aren't listening to what it's telling them. So yes, functioning SCTs will help alert casino personnel to elongated cheat scams and advantage play attacks, the types where advantage players and cheats work a table for a period of time, perhaps hole-carding, counting or marking cards. All these operations when done successfully can certainly cause a diminishing table-rack. But what the SCTs will not be able to do is alert casinos to professional casino cheats who work a particular table for just one move, albeit a large one. 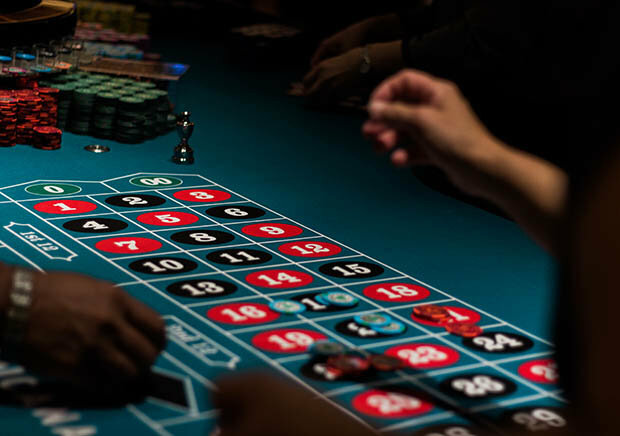 If a quick $100 straight-up pastpost on a roulette wheel goes undetected by floor personnel on the game, the $3500 gone from the rack is not going to alarm anyone, especially since the pastpost is believed to have been a legitimate bet. So any cheat or team of cheats who are hitting numerous tables with just one move will not be thwarted by SCTs because their damage will not have a drastic effect on the table-rack. All in all, I like this SCT concept. I expect there will be the normal glitches during its initial period on the tables, but once that clears we should see a pretty effective device with lots of benefits for the casinos--and a lot fewer unhappy customers!